Have been looking for a gold frame for some time.yours fit the bill. My watercolor (Navajo plains) looks great. I have a number of other pics that will need frames so i will be contacting you in the future. Thanks again. Only 3 of the 4 frame sides were the correct color. I haven't receivecd a refund. Customer service was not customer-oriented. Hello Jennifer. Thank you for reaching out to us. We apologize for any inconvenience. It appears that you experienced a very rare service breakdown. The frame in question was returned to us, and we are happy to help you with placing a new order. Please return my call when you have a chance. I was able to leave a voicemail regarding your concern. Our Customer Care Specialist are here to serve you, and give you the absolute best care. We take this feedback very seriously, and we will make sure you are taken care of with the best service. We look forward to making this right with you. Have a great day. Perfect frames with simple elegance. Easy to assemble. I like the sturdy wire loops. Everything I order from pictureframes.com is of excellent quality. I even tried their cut-to-order matting this time, and it was perfect. I have ordered in the past, and will continue ordering whenever I complete a new picture and want it framed. Top quality work and materials! Thank you. Simple and classic elegance; great frame for showcasing maps. These frames make your photo really stand out. The colors are really stunning. 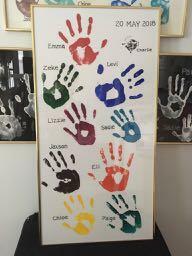 We have been using this frame for quite a few years for a collage of grandkid's handprints. These are done every two years, with a couple of the younger ones causing single prints because of their entry being on an off year. We also have a young man that we support in Sierra Leone who sent us two of his hand prints. I love this frame and it fit my artwork perfectly!! Very modern look...highly recommend! good quality frame and prompt delivery. chosen to match the frame of another print purchased a few years ago. I want to hang them together. We have multiple frames all using this design. Need to match for our next addition. I sent a photo of where they are used to Stephanie E., in your Customer Service area. THE GOLD IS A POPULAR LOOK NOW AND ESPECIALLY WITH MY STYLE OF MID CENTURY MODERN AND HOLLYWOOD REGENCY. I AM FRAMING OLD PAINTED PORTRAITS FOR AN ART WALL WITH NO GLASS AND THIS WILL COMPLETE WHAT IAM TRYING TO ACHEIVE. can you do a triple mat? BEST ANSWER: Hello Courtney! Yes, indeed we can provided you with a triple mat presentation! Thanks! I am looking to purchase the 111GLD frame for a poster, but am not sure what size I need to order. My poster is 19.5" x 27.5". What size frame do I need to order? BEST ANSWER: Thank you for reaching out to us Alexandra! 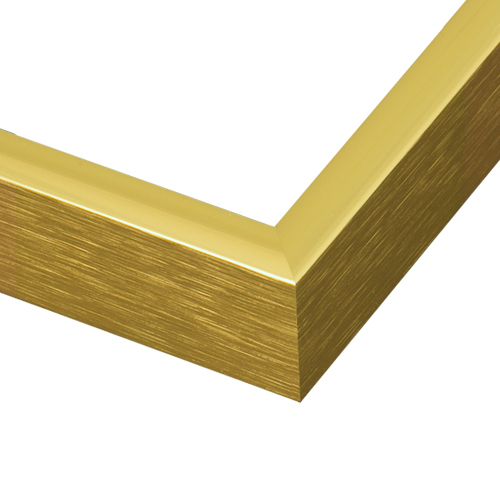 Please order the 111GLD frame in the exact size of your poster, 19.5"x27.5". Also, please make sure you order acrylic and foam core backing with the frame. We offer Clear Acrylic, Non-Glare Acrylic, U.V. Protectant Acrylic and 3/32" Premium Acrylic. The Foam core backing is available in regular and acid- free. If you have any additional questions, please let us know. Enjoy your day!